Lawrence and Downe Townships, Cumberland County, NJ – CES completed this project for the NJ Department of Treasury, Building and Construction. 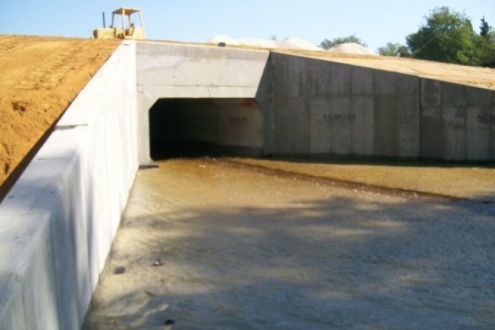 With a $1.5 million construction cost, this dam reconstruction project required a full hydraulic & hydrology study, schematic design, final design and permitting. The existing 600-foot long Class II earth dam had inadequate spillway capacity and was at risk of failure during the design storm event. During the conceptual design phase, CES developed several alternative designs for cost and construction feasibility comparisons and presented the comparisons to NJDEP. The analysis led to the selection of the preferred alternative for preliminary and final design to meet the dam safety requirements of the NJDEP. 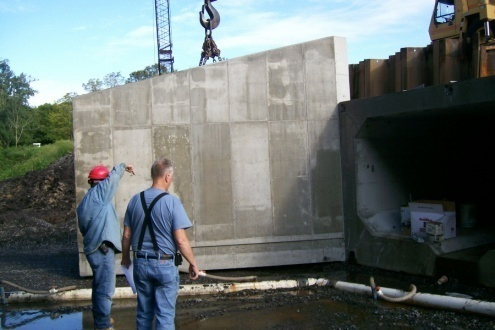 Design elements of the dam reconstruction included a sheet pile spillway and concrete apron, precast concrete box culvert, articulated concrete block armament and embankment fill for slope stability. 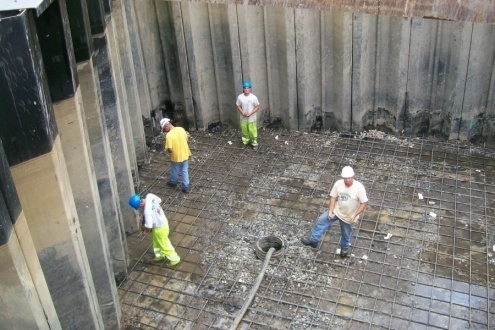 CES provided construction management, inspection, and final closeout services for this project, and also prepared an Emergency Action Plan and an Operation and Maintenance Plan for the dam.